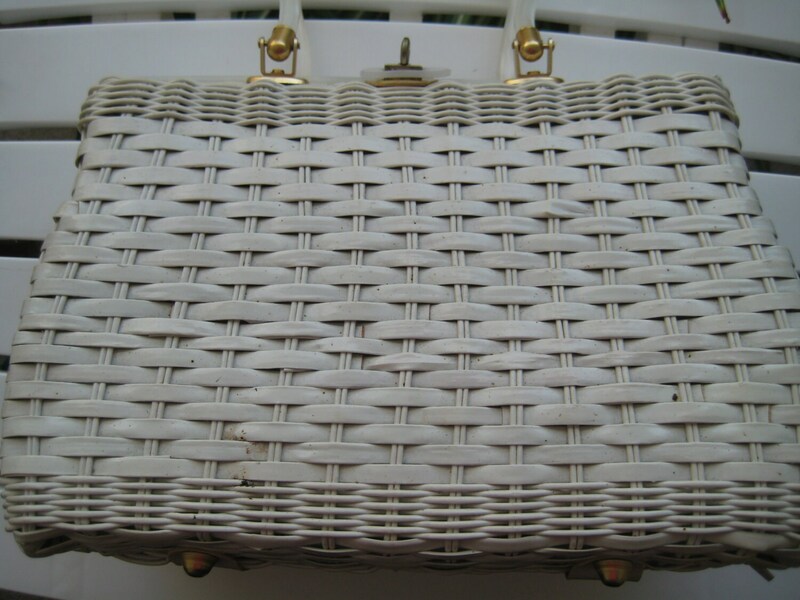 Fun and fantastic white wicker handbag by Atlas of Hollywood, Florida. This vintage piece is lovely. 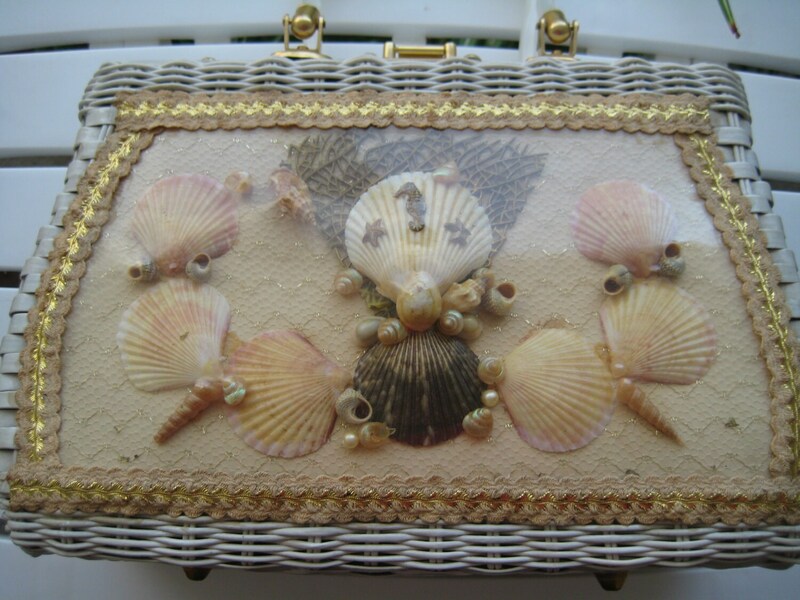 Classic front window with seashells and beach flair! 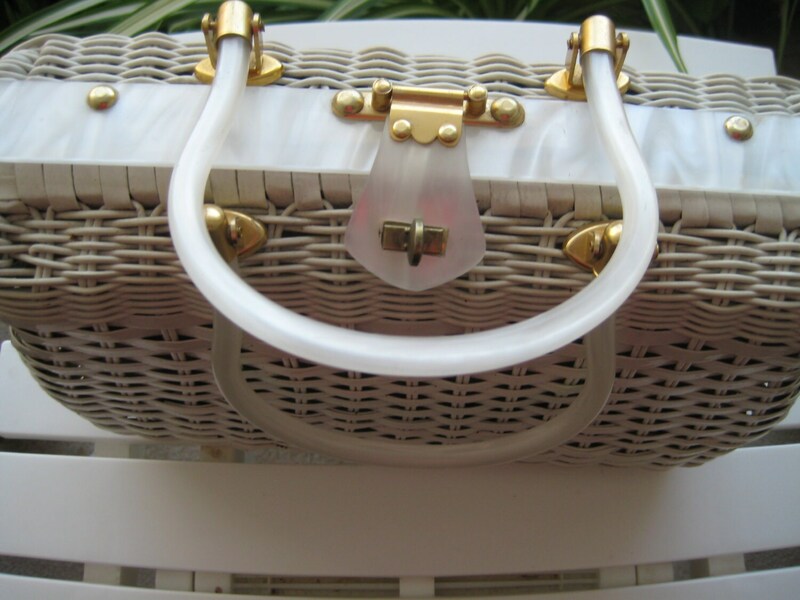 White wicker body with white Lucite trim and keyhole lock closure. White double handles have a 4 inch drop. 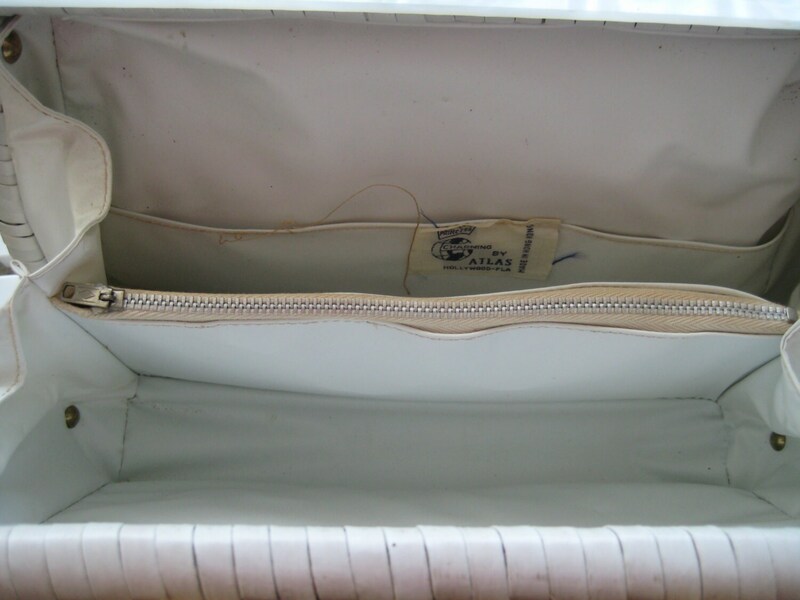 White vinyl interior in wonderful condition. Center metal zippered pocket and one side patch pocket. 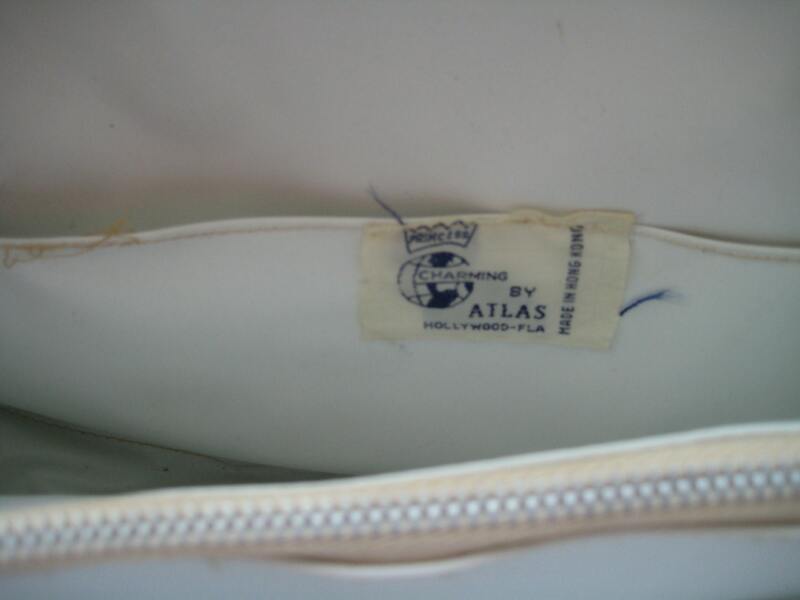 Atlas label. Made in Hong Kong. Dimensions: 12 inches long x 8 inches tall x 4 inches wide at the bottom.